Ice damming is a fact of life, but it’s actually not Nature’s handiwork. 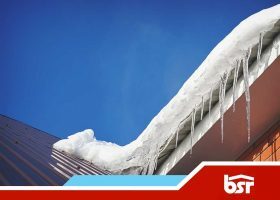 It’s a product of bad attic climate, which causes the snow to melt quickly and then refreeze upon reaching the roof edge. Ice dams are a menacing sight and a pervasive hazard you ought to remove sooner rather than later.